Allfast Fastening Systems: A leader in solid and blind rivet fastening solutions in the aerospace industry. Allfast is the world leader in solid rivet design, manufacture and delivery including skin rivets, wing rivets, composite rivets, and premium rivets. With nearly 40,000 unique part numbers in our catalog, it is certain Allfast can produce the right solid rivet for your unique applications. Allfast delivers blind fasteners with consistent performance, exceptional quality and on time delivery. We are emerging as a world leader in blind fastener design, manufacture and delivery including Allmax/Supermax line, NAS1919/1921, A Codes, AB Codes, and others. Allfast is emerging as a supplier of choice for blind bolts and is qualified by major OEMs for both standard grip and extended grip configurations. Whether your application is metallic or composite, Allfast has the right blind bolt for you. 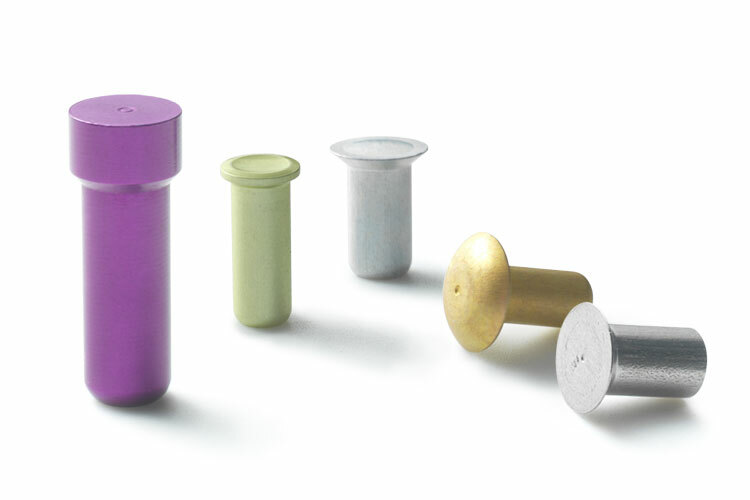 Allfast offers a lineup of temporary tack fasteners to facilitate automated fastening, reduce cycle time, and improve assembly efficiency with the excellent hole fill, clamp up, and drill out properties offered by our tack fasteners. Allfast offers a range of tooling to support the installation of our fastener line. Our tooling line consists of, but is not limited to, pneumatic, pneudralic, pulling heads, and automation. Allfast Fastening Systems, one of our TriMas Aerospace businesses, has established itself as a leader in solid and blind rivet fastening solutions in the aerospace industry. Located in City of Industry, California, Allfast has built its reputation on performance, quality, and service.